SONOMA, Calif. (Sept. 18, 2017) – Sonoma Raceway in Northern California hosted the final doubleheader of the 2017 Pirelli World Challenge season. The Sprint-X titles were decided in the previous event in Texas, now it was time to settle the GT Sprint Championship. 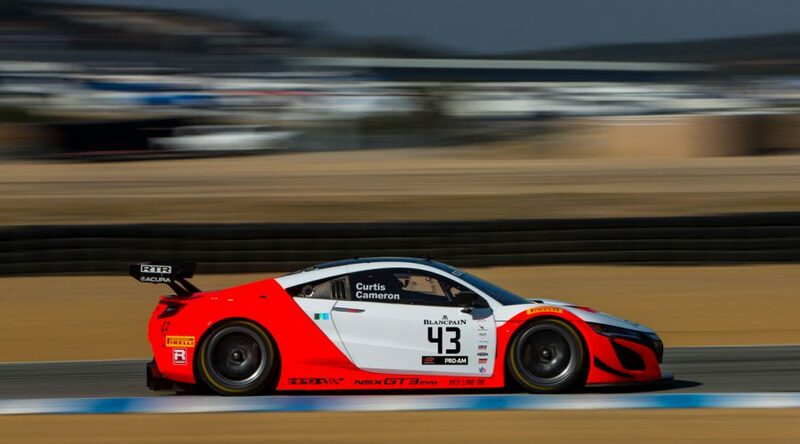 For the final qualifying session of the year, drivers Ryan Eversley and Peter Kox both put their rides on the sixth row of the grid. Eversley was 11th in the No. 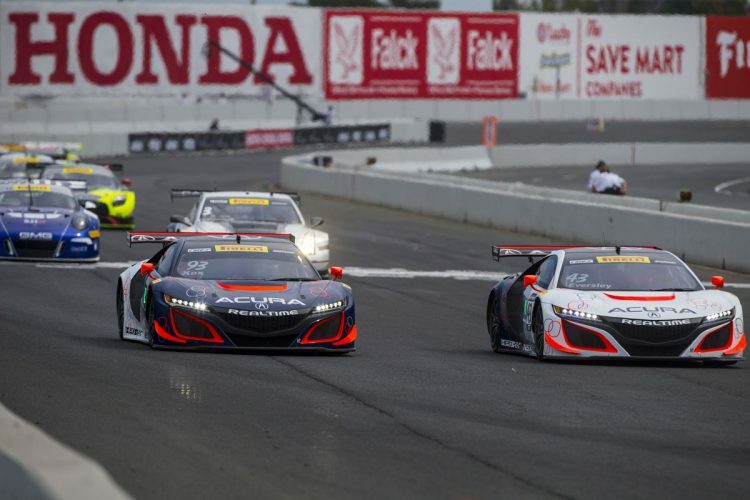 43 Acura/HPD/RealTime Acura NSX GT3 and Kox 12th in the No. 93. The RTR teammates had strong starts, with Eversley advancing to ninth and Kox to 10th on the opening lap. A handful of laps later, however, Eversley noticed a problem with his brakes. When Eversley came into the pits, it promoted Kox to ninth, which he maintained through to the checkered flag, though it was no easy task. 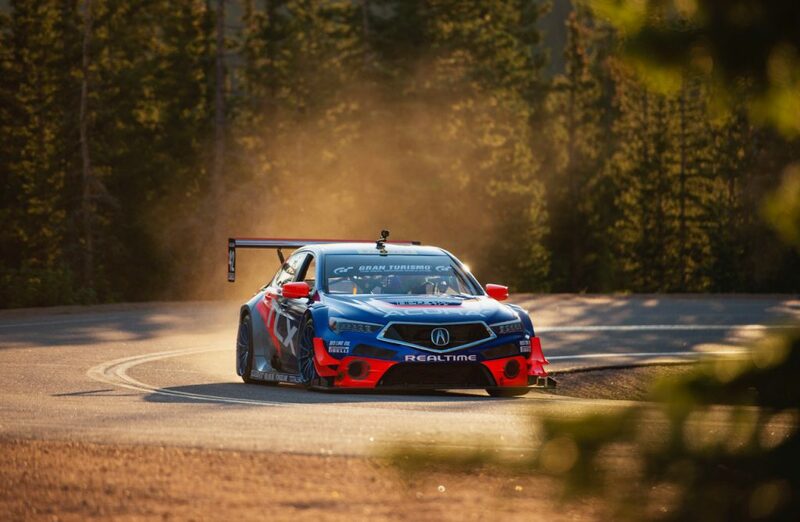 Though a cut brake line prevented Eversley from finishing the race, he still felt confident about the pace of his Acura NSX GT3. Each driver’s fastest race lap from Saturday set the grid for Sunday, which, coincidentally, put Eversley and Kox in the exact same starting positions as the day before; 11th and 12th. Kox had a spectacular start and rocketed to seventh in the No. 93. Behind him, chaos broke loose. Eversley had nowhere to go when a damaged McLaren was blocking the track. He made heavy contact with the McLaren, ending his race. It was a hugely disappointing way to end the season for Eversley. The race went full-course caution to clean up the incident. On the restart, Kox held his ground in seventh and began to scrap with the No. 99 Porsche of Fogarty for sixth. Eventually though, Kox would settle into seventh and finish there at the checkered flag. 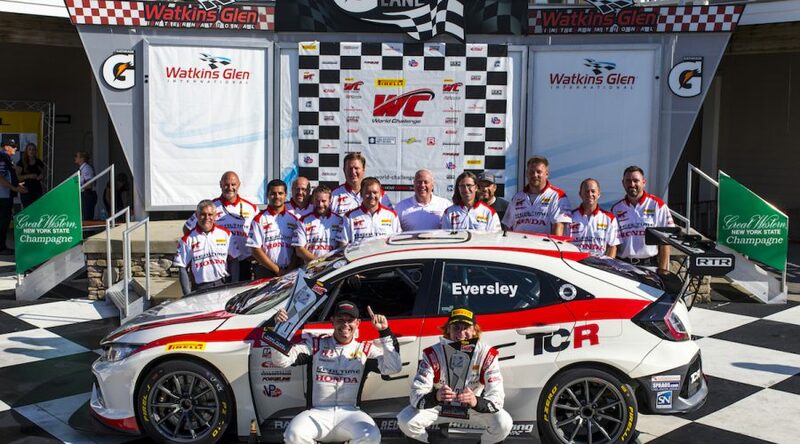 At the close of the 2017 Pirelli World Challenge season, Kox ended up ninth in the GT Sprint points, while Eversley finished the season in 13th. 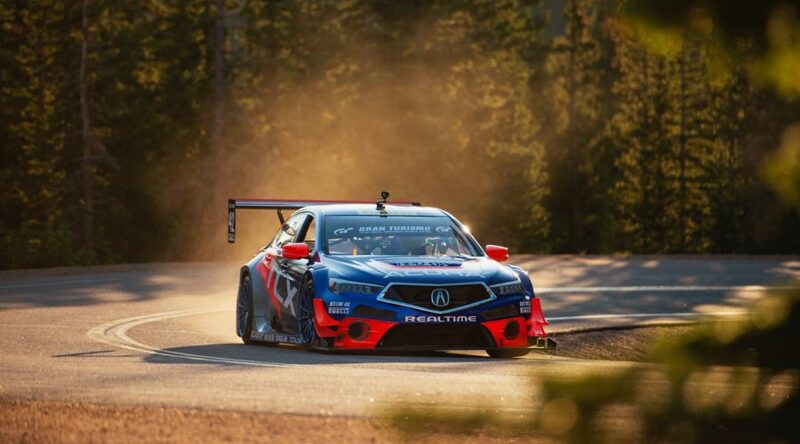 RealTime Acura was sixth in the Team Championship. 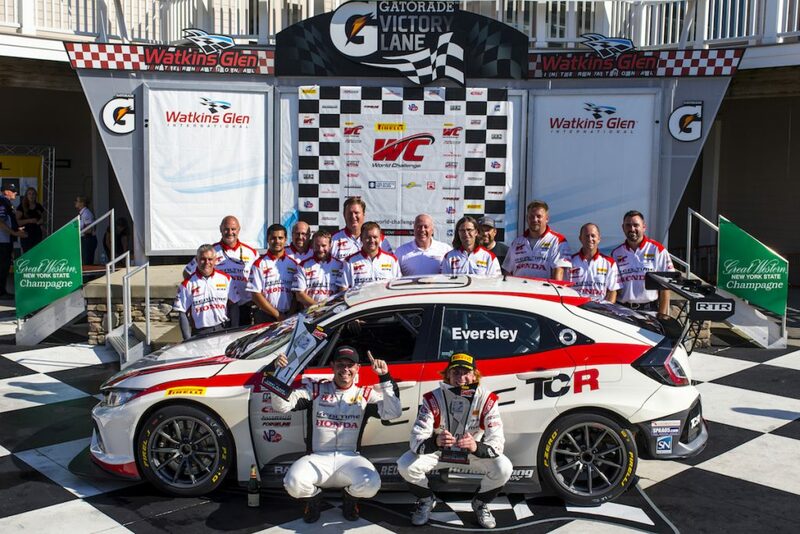 Points from Sprint-X and GT Sprint were combined for an Overall Championship, where Eversley earned eighth place and Kox was ninth. 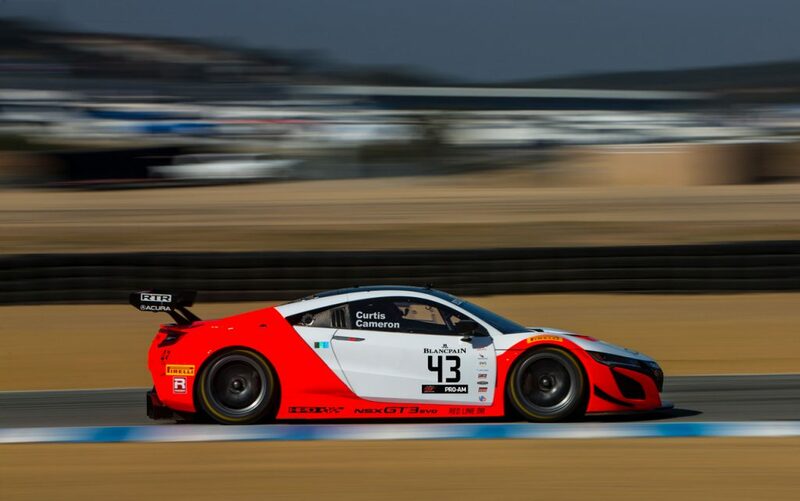 Though it’s the end of the Pirelli World Challenge season, RealTime Acura has one more race to look forward to; the eight-hour Intercontinental GT Challenge at Mazda Raceway Laguna Seca, October 13 – 15.